Do younger dogs need pet insurance? Posted by Albert. September 26th 2014. In 2013, the number of dogs in the UK was an estimated 8.5 million and these animals were kept by 25% of households. Many of these dogs can be worth many thousands of pounds, making it wise to invest in insurance, but is this really necessary for young dogs? Or is it only worthwhile for older canines? You may have decided to buy a puppy as a new addition to your growing family or to provide much needed championship when you’re lonely but there are some very important things you have to consider before going out and purchasing a pet. Getting dog insurance is one of the most important because in the long run it may save you money with vet’s bills which are constantly on the rise. You’ll never know when you will need the services of a vet, so it’s best to be prepared. What type of pet cover? There are many types of insurance policies for dogs from the basic cover to the gold plated version; it all depends on what you want. For example if you do have a valuable pedigree then the most extensive cover will probably be the one for you. The last thing you want to happen is for your dog to become ill and not be able to breed but others who have a mixed breed or mongrel might not want to pay out lots on insurance but still want to know their pooch is covered. It all depends on your personal situation but there is bound to be a policy to suit your budget and forgoing cover altogether is a foolish risk. It’s all too easy to say “I’ll do it later” when thinking about pet insurance but that is tempting fate. New insurance policies won’t always cover you and your pet for pre-existing conditions so if you don’t buy insurance until you already know something is wrong then it could be too late. 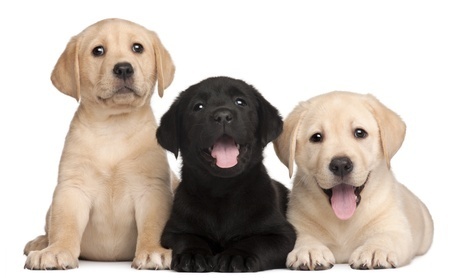 Pet insurance for puppies covers accidents, the animal straying and theft. Some policies will even pay for your pet to be boarded in kennels should you have to unexpectedly go to hospital. 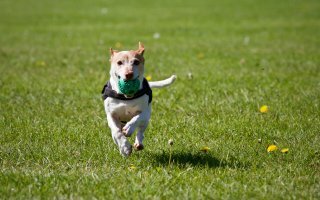 Accidents frequently happen to young dogs because they aren’t fully trained and can run out into the road and sustain an injury. Even though pet insurance won’t cover essential vaccinations, it will protect you against the cost of medicine as a result of an accident. Insurance for older dogs, is often more expensive, so it’s worth protecting your animal from the moment that you bring it home as a puppy.